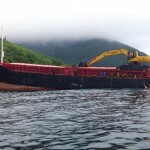 The 55 meter long, 813 dwt sand carrier freighter Maribo went aground near Nordre Vartdal, Norway. 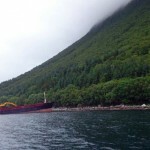 The vessel was proceeding in the Vartdal Fjord during the night when it ran ashore onto the rocks. 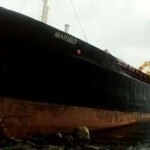 The Maribo suffered some hull damage to its bow and had some minor water ingress. None of the 6 crew on board were injured. Local authorities and the NSSR lifeboat proceeded to the scene, but were unable to refloat the vessel due to the falling tide. 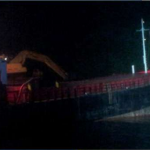 A tug was requested to pull the sand carrier free on the following high tide. No reports of pollution being released. 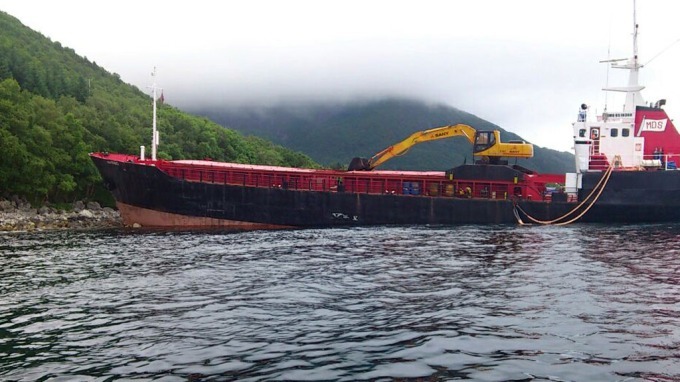 The vessel was en route to Ørsta from Olsvika, Ålesund at the time of the incident. 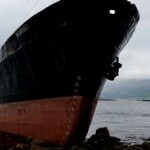 The cause of the grounding had not been reported. Reports state the vessel barely missed a nearby aquaculture farm.